We launched Red Rock Deli, an Australian-born potato chip brand, across the US. Through animated flavor worlds and characters, we showed that premium doesn’t have to be boring. We created a brand that is about more than just snacking. It's Snacking Fantastic! 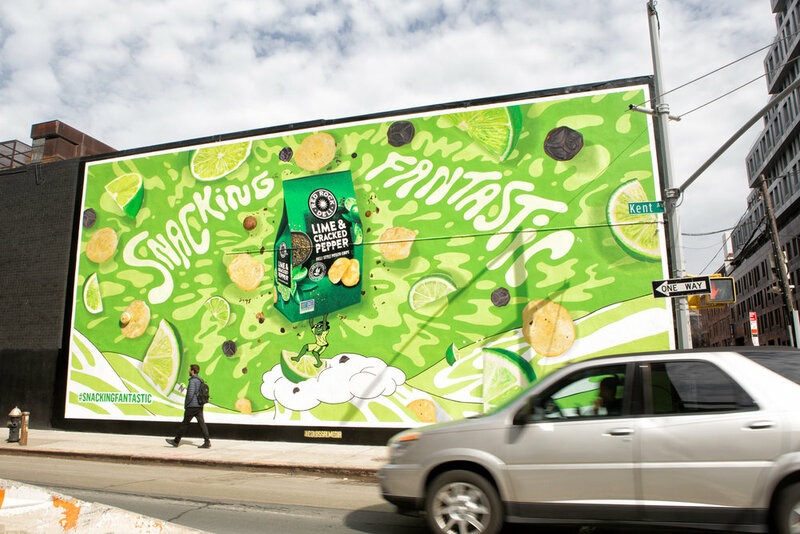 Instead of sticking to traditional billboards, we created shareable mural art to bring more flavor than expected to cities all across the country. Our Instagram stories illustrated how Red Rock deli feeds more than just your belly but all of your senses. Each animation teased the experience of what tasting these chips feels like.